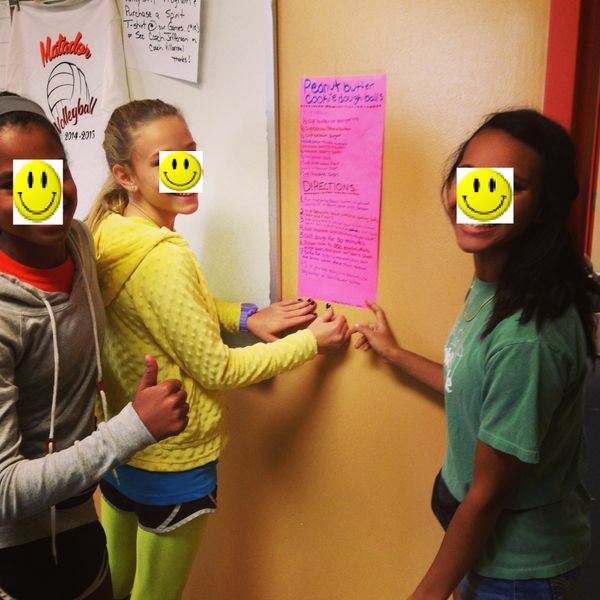 These young ladies are part of the Student Wellness Club, and it was their idea to post a recipe for 'healthy' (or at least healthier) cookie dough in the teacher lounge. I think that shows a lot of initiative and I am impressed with their desire to help make the faculty healthier. It was evident from just a short conversation that they care about their teachers!